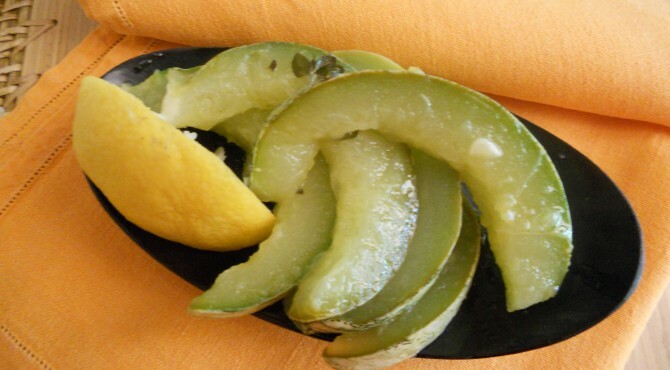 olio | CUCINA ITALIANA – ITALIAN FOOD | Il cibo con il sole dentro – With the sun inside! MUSHROOMS : WHAT A PASSION! Yes! I love to pick, to clean, to cook and to eat them : mushrooms WHAT A PASSION!!! Today the wood has been generous and I came back with a basket full of mushrooms, so I did prepare them like this. Clean the mushrooms and cut into small pieces. Boil half liter of white wine and half liter of white vinegar with a bunch of marine salt and 4 leaves of baley. When it boils put the mushrooms and cook for 4-5 minutes. Drain and when still warm dress with garlic cut into small pieces, wild mint, chives, chili, salt and extra virgin olive oil. Keep the mushrooms in salad for three days putting new dressing every day. 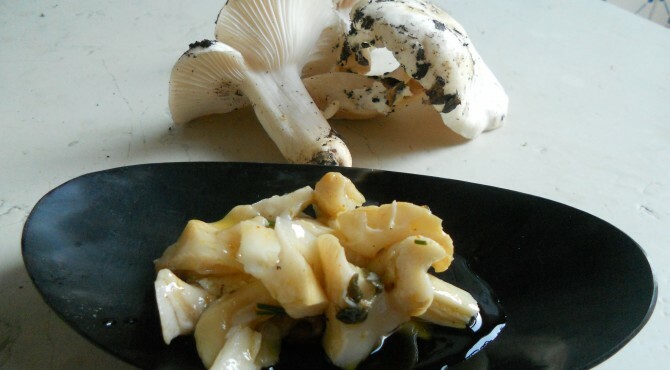 Now is time to put the mushrooms in jars with extra virgin olive oil, but unfortunately after three days only few are left…..
IL BATTUTO (translation “The beat”) … at least once to do, to understand what our mothers suffered in the kitchen! In the past they used lard, but nowadays we substitute it t with the bacon. One tablespoon of corn flour and lots of patience! Cut the bacon into small cubes, and a large cutting board, add it to the onion, garlic,sage and rosemary and begin to “beat” with a knife, until you obtain an homogeneous slurry and creamy mixture. When the beat is ready, put it in a large pot and let it warm over low heat, add white wine, add the chickpeas and let them cook for 5-6 minutes. Put now the tomatoes’ paste and broth and boil on low heat for 45 minutes. 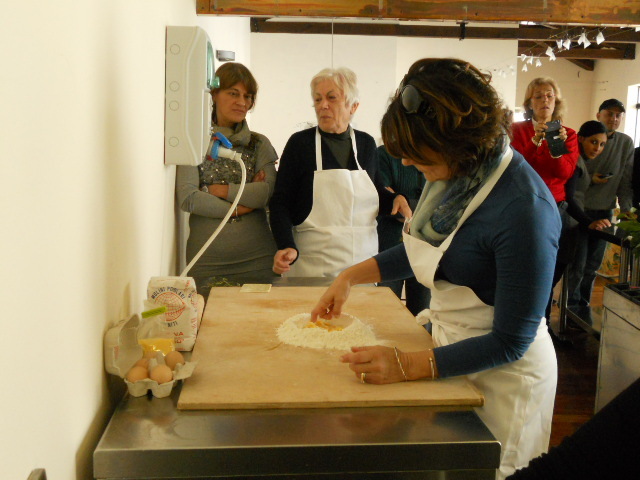 In the meanwhile prepare the pasta: Put the flour in the pastry, make a fountain, break the eggs in the center and work the mixture with force and patience …. 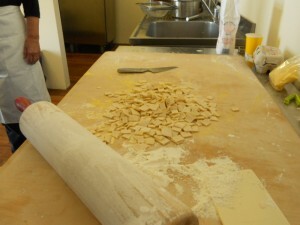 Let the mixture rest for 30 minutes, and then roll it out with a rolling pin until you get a sheet about 1 cm high. 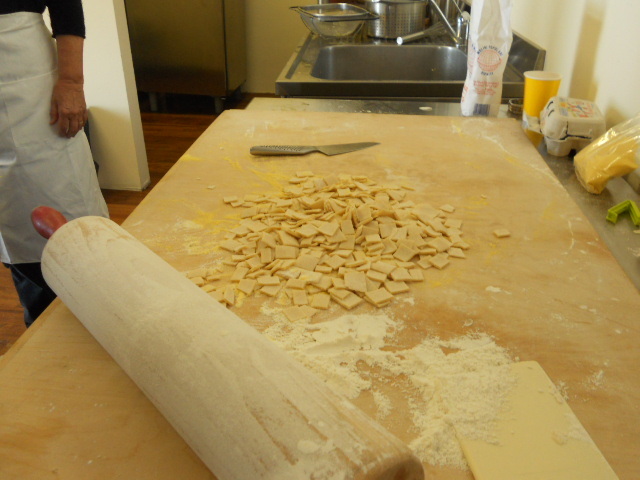 Sprinkle with cornmeal, cut into long strips that overlapped and then create the “bricks”, that is, cut the dough into small squares … mash to remove the excess cornmeal and add your pasta to the chickpeas that are bubbling. Season with salt and pepper and let it cook for 10 minutes. 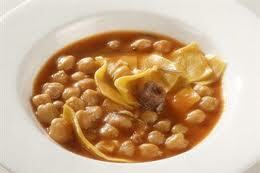 Serve the soup hot, with a few fennel seeds, a little oil and a sprinkling of pepper. 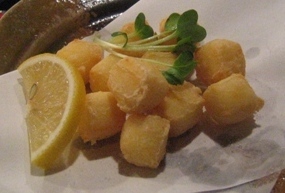 Place the potatoes in their skins (wash them well pls!) 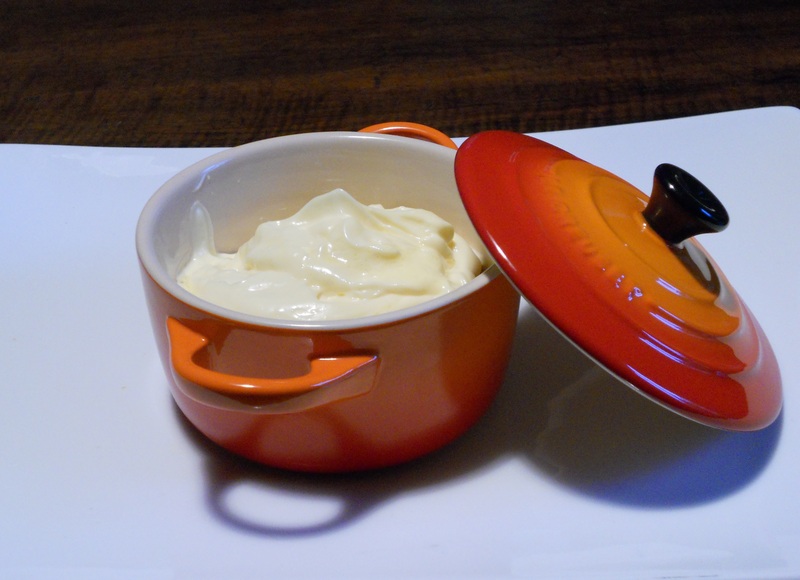 in a baking dish, cover with the salt and cook in the oven at 200 degrees for 40 minutes. Once cooked, clean them well taking out the salt and make small cuts to create segments. 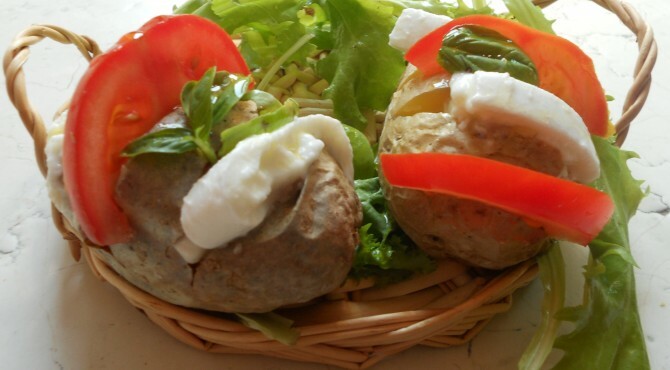 Cut tomatoes and mozzarella slices and insert them into the small cuts that you have practiced on the potato. Add the basil and a drizzle of oil. Serve with arugula or baby salad. Our land gives us an amazing amount of different tomatoes. 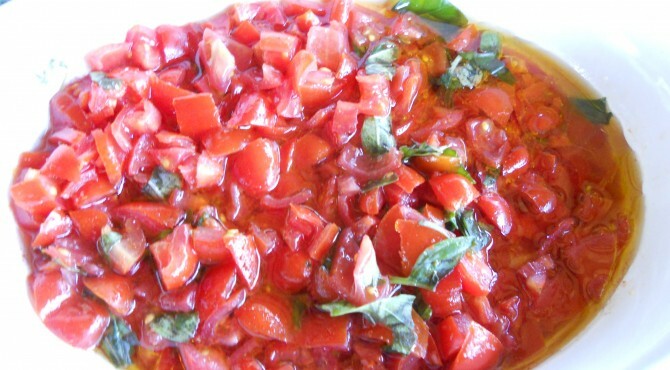 To do this sauce we will use datterini tomatoes, which are very sweet. Wonderful over toasted bread or on grilled vegetables. Cut the tomatoes into small pieces. 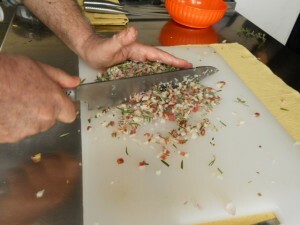 Add the basil and chives, salt, chilli, and be generous with extra virgin olive oil. Marinate it for half an hour before serving. 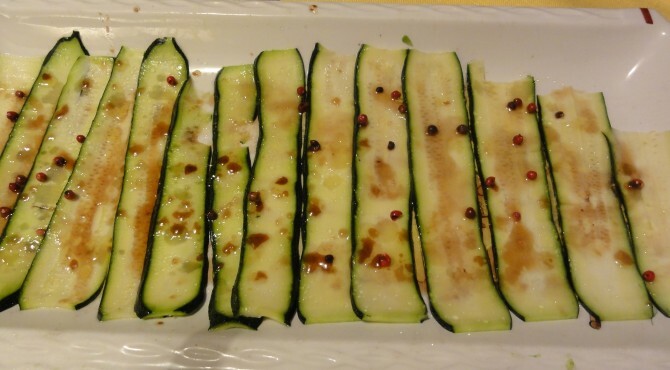 Wash the zucchini and cut into strips as thin as possible. Put them in a tray and sprinkle with olive oil, lemon juice, salt and pink pepper and let it rest for 1 hour. After an hour it will be ready to serve them with a sprinkling of parsley or on the top of a delicious salad with few drops of balsamic vinegar. la faccio un pochino più leggera, così mi sento meno in colpa quando la mangio! Usiamo il frullatore elettrico a immersione, altrimenti ci invecchiamo! Mettete,n un contenitore alto, un uovo intero un pizzico di sale e un cucchiaino di aceto. Cominciate a frullare e aggiungete l’olio lentamente. Quando la maionese ha raggiunto la consistenza dovuta è pronta, se risulta troppo liquida aggiungete altro olio, se invece è troppo compatta l’aceto.